Take your position. Snap a cherished selfie. Sign it with a swirl of your fingertips and add some classy, artistic extras to personalise those treasured memories. 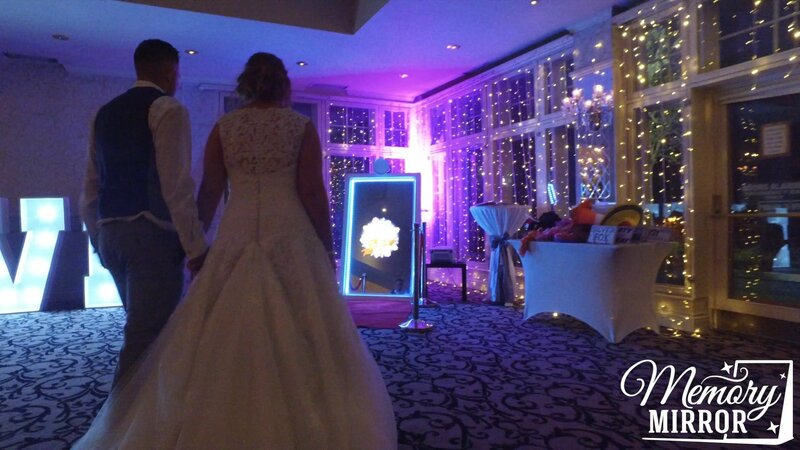 You see, The Memory Mirror isn’t a standard photo booth – it’s a free-standing mirror with the latest touch-screen technology that’s easy to use. The days of squeezing into cramped booths and alienating partygoers are over. The days of every guest being part of the experience are here to stay. The Memory Mirror means everybody can see what’s happening, and with the addition of high-quality props, each photo will be fun, chic and unique. Even shy guests will be inspired to add a dash of star quality to their evening. With your guests striking a pose, you need reassurance everything will go to plan. Our professional mirror operators provide the best customer service, and they’ll look the part too. Whether it’s a wedding or a black-tie occasion, they’ll blend in elegantly. And there’s no waiting for photos, our operators print them in seconds – making your shots the talk of the night. We’ll help to make it a party to remember. Create lasting memories by booking the Memory Mirror for your party.